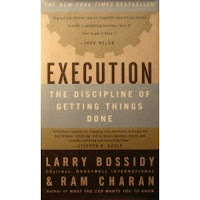 I listened to the audiobook "Execution: The Discipline of Getting Things Done," by Larry Bossidy and Ram Charan. This is a well read book in the business world and I thought I'd have a look. It was interesting and had a lot of real-life stories about effective practices in the corporate world. Unfortunately, most of those practices apply only to the very few at the top of an organization; those who have the authority to change corporate practices that govern them. 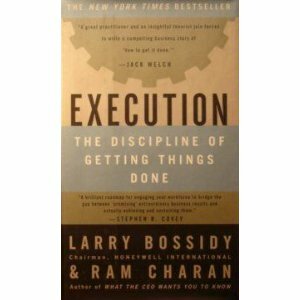 And so, this book would be more useful to executives or people leading large organizations or people leading startups or small companies. Having said that, there are some gems that apply to all people, notably in the area of hiring staff.